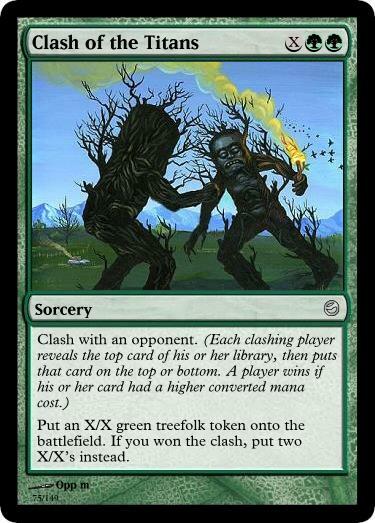 Put an X/X green treefolk token onto the battlefield. If you won the clash, put two X/X’s instead. A card that Sean wanted to make. 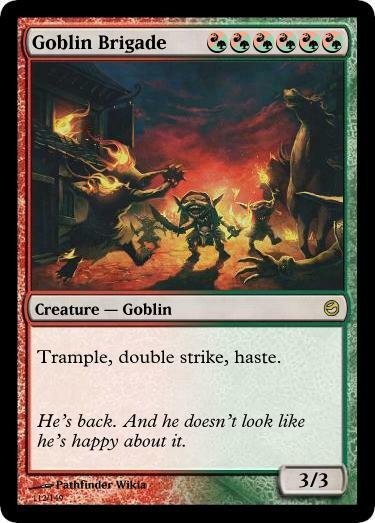 I originally thought that this card was undercosted, but after a while I kind of began to accept that it might even be overcosted. I used to Super Mitotic Slime. I thought it was an interesting concept, but never really liked the card. I sold my two copies to Lolzor for a dime each. He has fun with them. 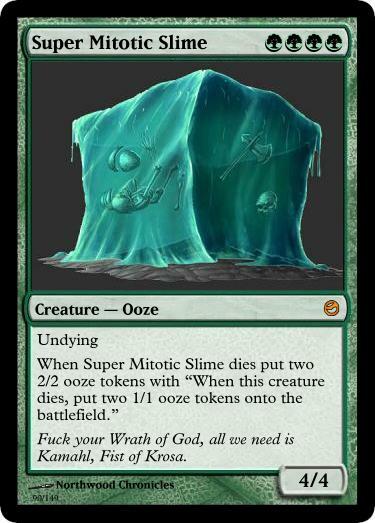 Then the undying mechanic came out, and Lolzor joked about giving Mitotic Slime undying. And so here we are. 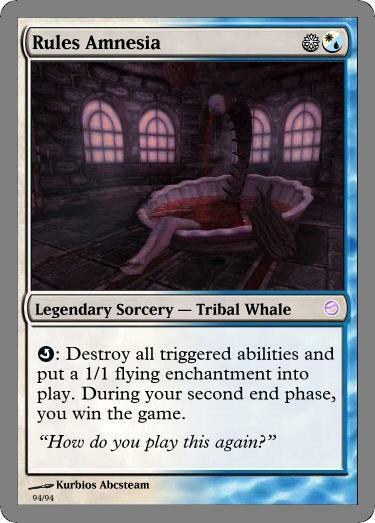 I fixed it's original "mana cost" problem it had, but added a huge dilemma of it being basically unsplashable. Perfect for green. It's a shame Undying doesn't work on tokens. 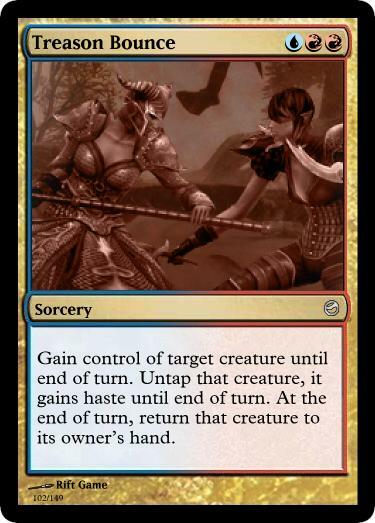 Gain control of target creature until end of turn. Untap that creature, it gains haste until end of turn. At the end of turn, return that creature to its owner’s hand. Act of Treason + Unsummon. Pretty simple. I liked it.